North Wilmington is generally known as the portion of Wilmington, Delaware, that lies north of the Brandywine River. Wilmington is the largest city in the state. Its population of about 70,000 individuals has remained fairly steady over the past half-century. The Lenape Native Americans were led by Chief Mattahorn when Henry Hudson sailed up the Delaware River in 1609. Traders from the New Sweden Company purchased land from the Lenape in 1638, and they proceeded to build Fort Christina. The first doctor in what was then called New Sweden settled in the area in 1654. In 1655, the Dutch commander Peter Stuyvesant defeated the Swedes in the area, and established a colony called New Netherland. After 1664, the area came under the control of the British. Brandywine State Park includes the 13-acre Brandywine Zoo, situated very close to the Brandywine River. Escape the hustle and bustle of urban life in this serene environment inhabited by a Siberian tiger, Andean condors, a Florida bobcat, Red Pandas, and many others. The kids will enjoy the llamas, otters, and burrowing owls. The natural environments inhabited by the many animals have been carefully developed ever since the zoo opened in 1905. Rock Manor Golf Club has been identified as the best public golf course in Delaware by Delaware Today magazine. The 6,405-yard championship layout is operated by Billy Casper Golf. The course has been significantly lengthened and updated by well-known architect Lester George. Dedicated golfers will appreciate the plush fairways that are lined by thick rough and mature trees. Well-contoured bunkers will grab the wayward shot. The gently rolling terrain will generate some sidehill lies. For over half-a-century, the Brandywine Festival of the Arts has grown in popularity to the point that is widely believed to be one of the 100 largest such shows in the nation. Over 250 juried artists display many one-of-a-kind creations. The annual September event is held at Brandywine Park. The prospective North Wilmington home buyer will find a nice selection of Colonials, Georgian Colonials and ranch-style homes for sale. Many of these properties will feature good-sized lots with mature trees. Some of these homes will feature desirable amenities like energy-saving systems, multi-car garages and deluxe kitchens. At the same time, the young family interested in a starter home will find many options. Some older, more historic homes will feature updated systems and modern features. In general, North Wilmington offers buyers easy accessibility to points north and south via Interstate 95 and other parkways. 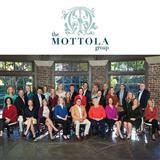 Ask the Mottola Group to highlight the North Wilmington homes that will match up well with your important goals that are both desirable and value-priced.